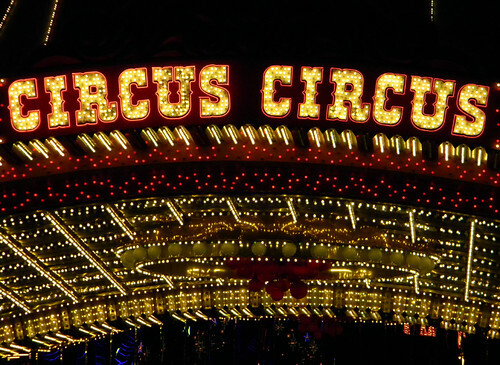 Las Vegas is a circus! Of course Vegas now has Cirque de Soleil, the modern animal-friendly circus. Photos are not allowed, so I can’t actually show you any bits of the performances; however they are definitely worth the price of admission just for the costumes and custom-built stages alone. More of Jennifer Nichole Wells’ One Word Challenge: Circus.